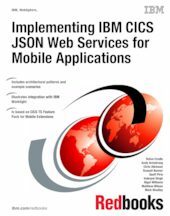 This IBM® Redbooks® publication provides information about how you can connect mobile devices to IBM Customer Information Control System (CICS®) Transaction Server (CICS TS), using existing enterprise services already hosted on CICS, or to develop new services supporting new lines of business. This book describes the steps to develop, configure, and deploy a mobile application that connects either directly to CICS TS, or to CICS via IBM Worklight® Server. It also describes the advantages that your organization can realize by using Worklight Server with CICS. This Redbooks publication provides information about the installation and configuration steps for both Worklight Studio and Worklight Server. Worklight Studio is the Eclipse interface that a developer uses to implement a Worklight native or hybrid mobile application, and can be installed into an Eclipse instance. Worklight Server is where components developed for the server side (written in Worklight Studio), such as adapters and custom server-side authentication logic, run. CICS applications and their associated data constitute some of the most valuable assets owned by an enterprise. Therefore, the protection of these assets is an essential part of any CICS mobile project. This Redbooks publication, after a review of the main mobile security challenges, outlines the options for securing CICS JSON web services, and reviews how products, such as Worklight and IBM DataPower®, can help. It then shows examples of security configurations in CICS and Worklight.